Working in agriculture creates conditions ripe to cause higher rates of pulmonary disease in farm workers. Lung issues, including asthma and lung cancer, are possibilities. Higher-than-usual amounts of dusts, vapors and fumes are contributing factors. Additionally, particles associated with livestock, grains and pesticides create conditions that deteriorate the lungs. These types of dust particles have chemicals, but they also pose organic dangers, like bacteria and mold, that could get inhaled into your delicate respiratory system. The National Institute for Occupational Safety and Health (NIOSH) estimates that work-related respiratory disease makes up about 70 percent of all occupationally-related deaths. 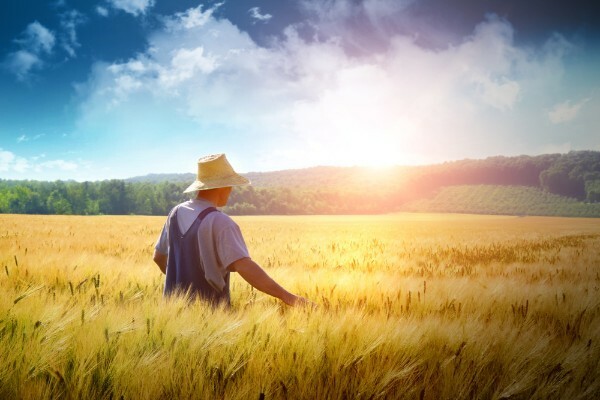 One lung condition, in particular, is closely associated with agriculture. That is the disease known as Farmer?s Lung. This pulmonary disease is usually brought about by breathing in moldy hay particles. Breathing in dust from hay, corn, grass, feed, grain and tobacco cause inflammation in your lungs, making it hard to drawn in air. Once contracted, it is a permanent condition. It cannot be reversed, so taking care to prevent further stages are necessary. Making sure the materials handled are dry, that there is adequate ventilation and that a mask is always used can help prevent infection. Farm workers have higher rates of lung diseases than the general public. COPD is caused by chronic irritation in the airways. It?s associated with breathing difficulty, cough, mucus production and wheezing. You may experience chest tightness, lack of energy, or blueness of the lips and nail beds. Emphysema and chronic bronchitis contribute to COPD. It is a condition that needs to be controlled to maintain a good quality of life. Fighting an irreversible disease can take its toll. Maison Law Firm can help you get the compensation you deserve. Don?t allow an insurance company to offer less compensation while your medical bills mount higher and higher. Get compensated for your medical bills, loss of wages and more. Our team has worked in virtually every type of personal injury case and have the experience needed to fight for you. We offer transportation for your convenience, or we can come to you.